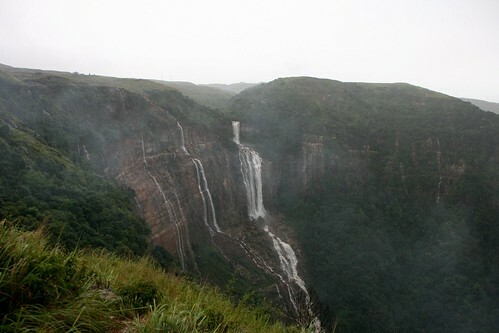 Sohra (previously known as Cherrapunjee) and nearby Mawsynram, both regions in Shillong are two of the wettest places in the world. 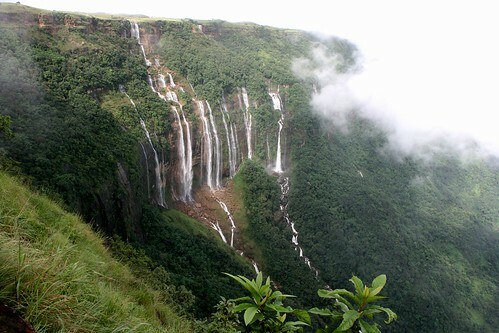 Post-monsoons these valleys hold awe-inspiring sights consisting of lush green valleys, gorgeous hills and staggeringly beautiful waterfalls. This one, my favorite by a narrow margin, is called Nohkalikai, which according to Lonely Planet is the fourth highest in the world. 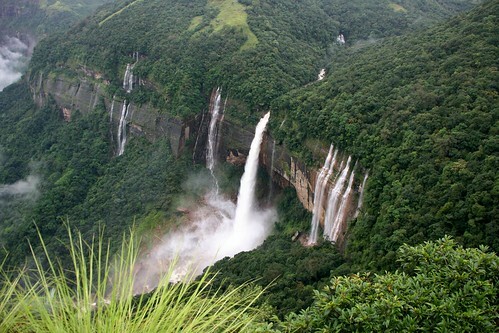 Our guide insisted that this one is called the "Seven Sisters" falls, but I am sure there is a nicer local name to it. This one is called the Mawsmai falls. We were also privileged that on the one night we stayed at Sohra, the sky completely cleared up revealing a brilliant night sky.